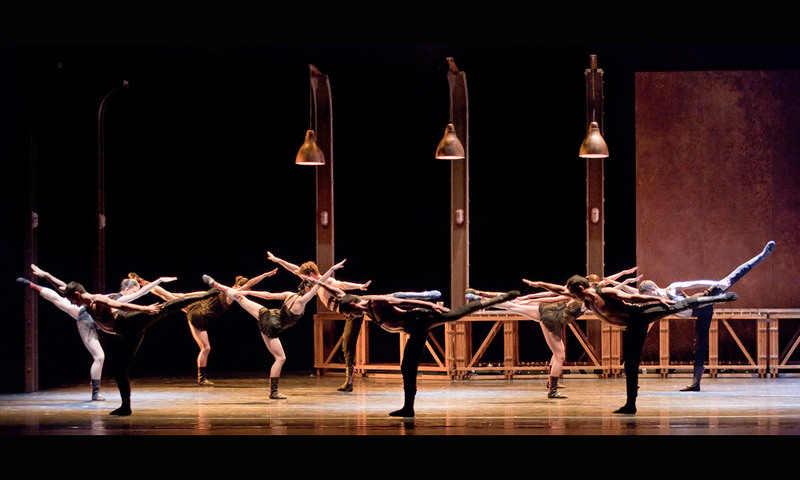 One of Balletto di Roma’s most successful productions returns to Rome at last, as originally performed, under the guidance of a most eminent exponent of the Italian contemporary dance scene. 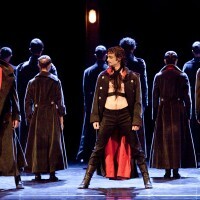 Following a recent reprise with the Corpo di Ballo del Teatro di Corte San Carlo di Napoli, Fabrizio Monteverde leads the Balletto di Roma in a production of “Othello” as scored by Antonín Dvořák. In this version, Monteverde revisits Shakespearean text by exploring the psychological meandering of ambiguity that characterizes the dynamics between Othello, Desdemona and Cassio. Within this never equilateral triangle vertexes are constantly shifting under Iago’s games, nurtured by ominous masks of untold sentiment, with which reason conflicts unknowingly, often using deception to compensate. 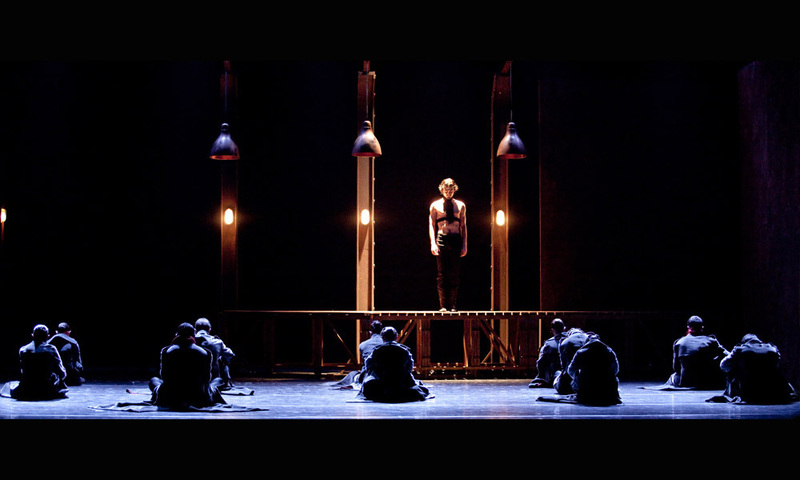 Set in a modern day maritime port (a declared homage to the colorful photograms by Fassbinder in Querelle de Brest) the production clarifies and amplifies a fundamental intuition: Othello is in fact, an outsider, a foreigner unaware of the rules of the game; like him, the dock is a free-zone in which man awaits departure or arrival in a continuous hustle where all human cravings become acceptable by virtue of the limbo in which they are aroused. In this perpetual melting pot of human activity it seems that the labels of foreigner, stranger, outsider and barbarian, no longer exist. The strong presence of a sea not relegated (as in the Shakespearean drama) to the generically exotic setting of Venice or Cyprus, suggests a secrecy where uninterrupted passion gives way to the untamed and forbidden realms of pleasure, jealousy and murder. 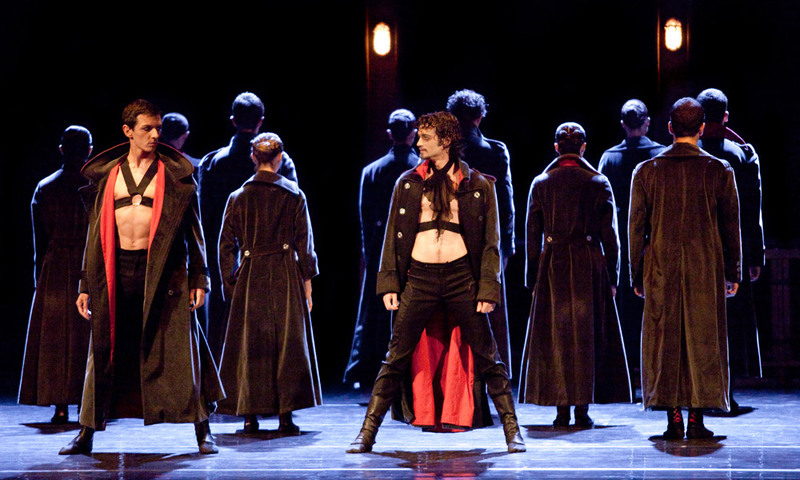 As a precocious romantic drama, Othello lends itself well to this provocative reading by Monteverde, one in which certain emphatic passages of the score by Dvořák contribute a subtle ironic counterpoint to the action of the characters within.